leading manufacturer of E-liquid. They commissioned us to re-design their website. The result was a responsive, clean website that showcases their products. 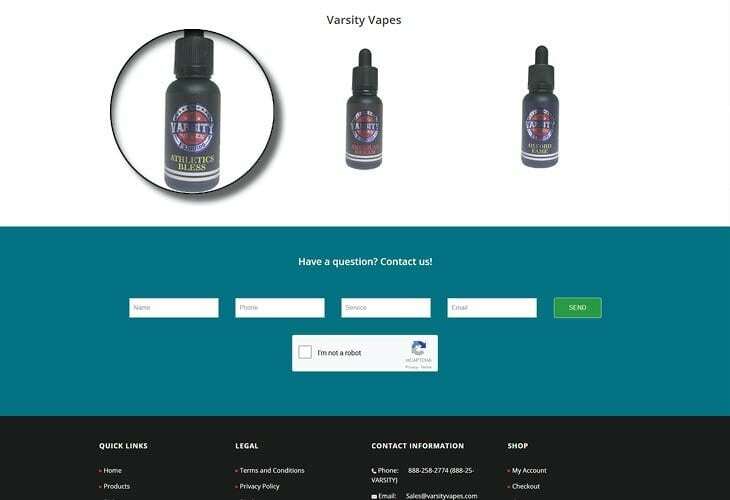 The website features a blue, red, black and white color combination and a clean, straightforward design that makes it easy for customers to browse and find what they are looking for.leading manufacturer of E-liquid. They commissioned us to re-design their website. The result was a responsive, clean website that showcases their products. The website features a blue, red, black and white color combination and a clean, straightforward design that makes it easy for customers to browse and find what they are looking for.leading manufacturer of E-liquid. They commissioned us to re-design their website. The result was a responsive, clean website that showcases their products. The website features a blue, red, black and white color combination and a clean, straightforward design that makes it easy for customers to browse and find what they are looking for.leading manufacturer of E-liquid. They commissioned us to re-design their website. The result was a responsive, clean website that showcases their products. The website features a blue, red, black and white color combination and a clean, straightforward design that makes it easy for customers to browse and find what they are looking for.leading manufacturer of E-liquid. They commissioned us to re-design their website. The result was a responsive, clean website that showcases their products. The website features a blue, red, black and white color combination and a clean, straightforward design that makes it easy for customers to browse and find what they are looking for.leading manufacturer of E-liquid. They commissioned us to re-design their website. The result was a responsive, clean website that showcases their products. The website features a blue, red, black and white color combination and a clean, straightforward design that makes it easy for customers to browse and find what they are looking for.leading manufacturer of E-liquid. They commissioned us to re-design their website. The result was a responsive, clean website that showcases their products. 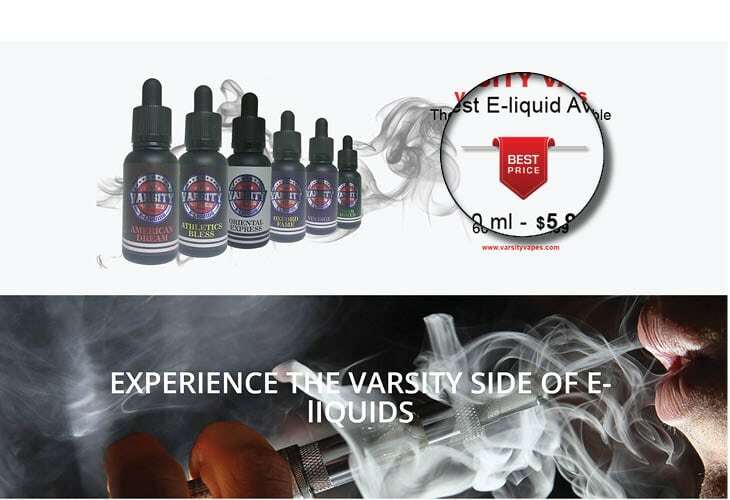 The website features a blue, red, black and white color combination and a clean, straightforward design that makes it easy for customers to browse and find what they are looking for.leading manufacturer of E-liquid. They commissioned us to re-design their website. The result was a responsive, clean website that showcases their products. The website features a blue, red, black and white color combination and a clean, straightforward design that makes it easy for customers to browse and find what they are looking for. Varsity Vapes is a leading manufacturer of E-liquid. They commissioned us to re-design their website. The result was a responsive, clean website that showcases their products. 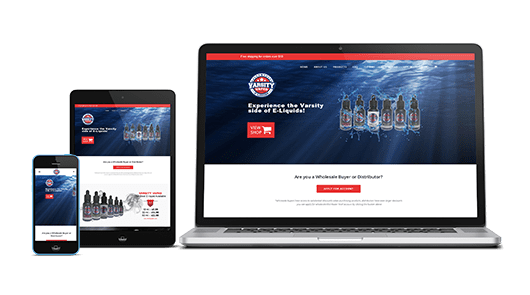 The website features a blue, red, black and white color combination and a clean, straightforward design that makes it easy for customers to browse and find what they are looking for.